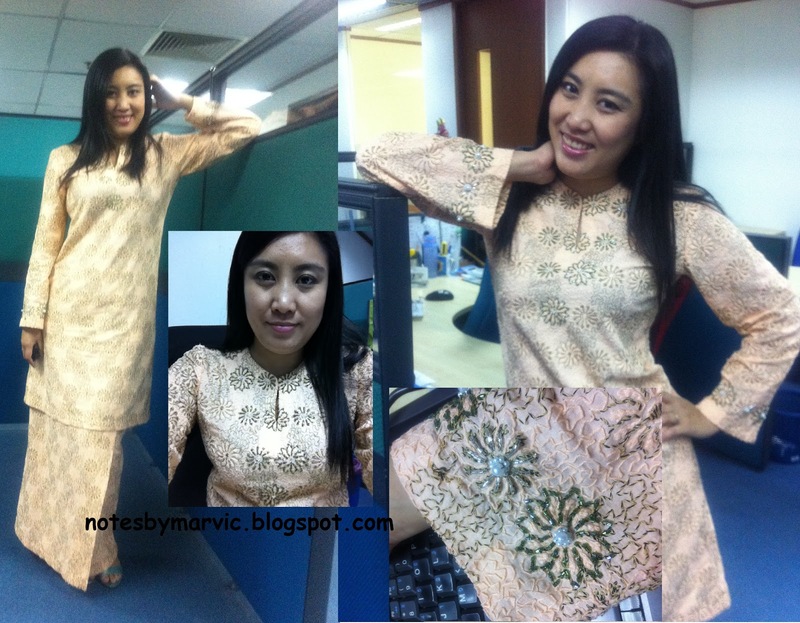 I make this baju kurung moden last month for about two weeks from combining all the pieces till beading work. 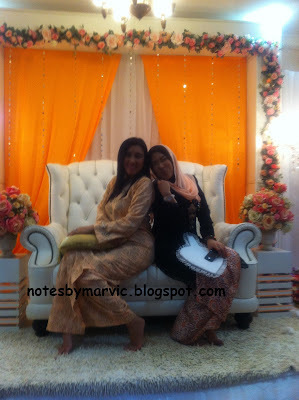 It is for the wedding occasion of Diana Sabrina and her husband, Sabaruddin that took place in Kuala Lumpur on March 5th 2011. Fabric is embroidery cotton in sweet peach colour. Bought it at Jakel, Menggatal Branch.. and seriously one expensive material that I work with. 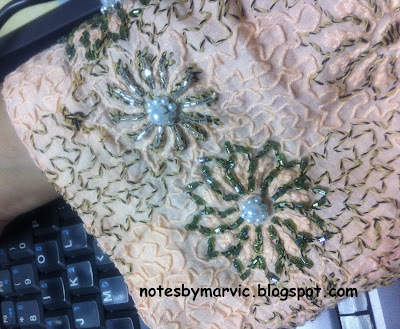 Although it is quite expensive, I fall in love with the material once I lay my eyes on it. Looks very exquisite indeed.Totally added into my portfolio as a self taught 'designer'...hahaha..but I do satisfied with the end result. Detail on the beads, I simply sew a simple trail of green or silver colour of glass bead and form it into a flower that has been nicely embroidery on the fabric. Follow with a small white colour of pearl that sew into a baby daisy. beb.. nak tempah baju kt ko bley ker? hehe. new look..new gadget.. new baju.. happy belated birthday dear!